AMC is headed back to the lodge. Today, the network announced they’ve renewed Lodge 49 for a second season. 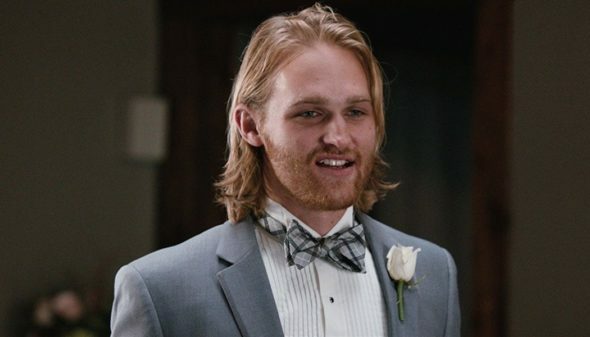 The centers on Sean “Dud” Dudley (Wyatt Russell), an aimless former surfer who joins a mysterious fraternal organization after his father passes away. The cast also includes Brent Jennings, Sonya Cassidy, Linda Emond, David Pasquesi, and Eric Allan Kramer. Ratings have been low but steady for Lodge 49 since it debuted in August. So far, season one is averaging a .10 rating in the 18-49 demo and 425,000 viewers. The season one finale debuts on AMC on Monday, October 8th, at 10 p.m. ET/PT. In season one, Dud found himself on the doorstep of a rundown fraternal lodge, where a middle-aged plumbing salesman and “Luminous Knight” of the order welcomes him into a world of domestic beer, easy camaraderie and the promise of Alchemical mysteries that may – or may not – put Dud on the path to recover the idyllic life he’s lost. What do you think? Have you seen Lodge 49? Will you watch season two? More about: AMC TV shows: canceled or renewed?, Lodge 49, Lodge 49: canceled or renewed? Such a great and clever show! The writing is awesome and listen past the obvious, there are so many interesting references you may not catch, but they are imbedded in the dialog. A great ramble into the comedy and tragedy that is the spinning web of life, plus super great characters, a bit of magic and mystery. Everyone has a backstory here….so fun! A nice, light, fun show! Pretty refreshing compared to what else is out there! Glad it’s been renewed. I watched only the first two episodes of this show. I could not take anymore. This is one of the stupidest shows ever made. There are actually better ways of wasting your time than this. I love this show, please keep it going. Excited to watch season two! The first couple episodes of season one seemed to be a little slow or even somewhat strange. From episode three I was hooked and the excellent season finale tied it all together. Absolutely will watch again!! Love it and will be sorely disappointed if it gets canceled!! Best follow up to Better Call Saul!! Best show ever. And it’s actually Yosemite Sam making the calls.